Senegal is one of the poorest nations on earth,with one of the highest rates of unemployment. Although the Senegalese people are hardworking and entrepreneurial, lack of investment in the country deprives them of opportunities to achieve their full potential. In this inspiring lecture, you’ll meet Magatte Wade, who is using her entrepreneurial skills to help alleviate poverty and create prosperity in her African homeland. 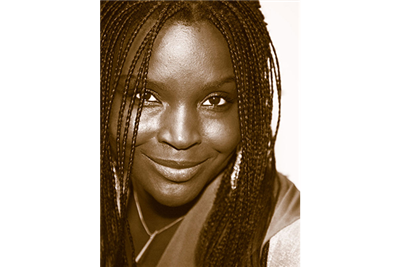 Born in Senegal and educated in Germany and France, Wade launched her entrepreneurial career in San Francisco, founded two companies that brought African-inspired beverages and beauty products to U.S. markets and committed 50 percent of her profits to the creation of entrepreneurial schools to educate, mentor and empower future generations of Senegalese entrepreneurs. Magatte Wade is passionate about creating jobs and prosperity in Africa through entrepreneurship and economic freedom. Fluent in Wolof, French and English, Wade has spoken about issues related to economic freedom and Africa at Brown, Columbia, Cornell, Dartmouth, Harvard, MIT, the University of California at Berkeley, Wharton, Yale and dozens of other colleges and universities. She has written for Barron’s, The Guardian and The Huffington Post. A TED Global Africa fellow, Wade was named a “Young Global Leader” by the Davos Global Economic Forum and recognized as one of the “20 Youngest Power Women in Africa” by Forbes in 2011.